N.V.Polytechnic College, Tiruppur, Tamilnadu Advertised in Dinathanthi epaper for the faculty recruitment 2019 – Lecturer Jobs. For More Details see below. 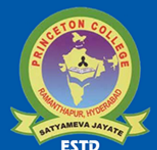 College Profile: The NV POLYTECHNIC COLLEGE was established in the year 2008 by Arulmigu Sri Dhandayuthapani Swamy Educational Trust and governed by prof.N.Venkatraman Msc,.Mphil,. Our institution has pioneered lecturers and staff members having the experience about 30 years.The NV polytechnic college was established in the year 2008 by Arulmigu Sri Dhandayuthapani Swamy Educational Trust and governed by prof.N.Venkatraman Msc,.Mphil,. Our institution has pioneered lecturers and staff members having the experience about 30 years.